The Multispares team have been busy with the annual quick turnaround between Sandown and Bathurst. 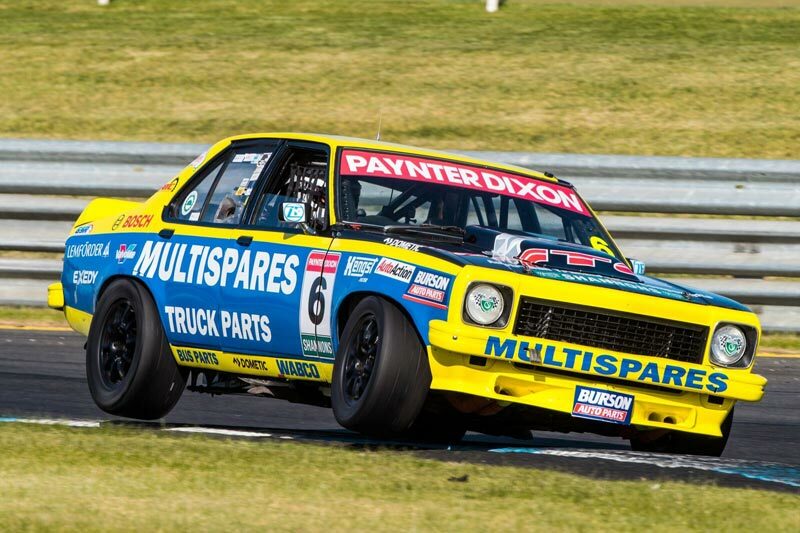 With mixed weather conditions sweeping across Melbourne the weekend before last, Ryan and the crew had to be right onto getting the right tyres and car set up on the Multispares Torana for each practice and race. Ryan qualified the SLR5000 in 5th place and raced hard, dicing with 3 other cars in race 1 to eventually finish 5th. Race 2 was cancelled after the brand new XD Falcon driven by Marcus Zukanovic had a huge crash at the infamous turn 6 at the end of the back straight. The impact made a mess of the tyre barrier but fortunately Marcus was not injured. Race 3 was held just prior to lunchtime on Sunday in front of a huge Sandown crowd and was the race of the weekend with the front group all battling hard. Ryan finished 4th and had enough points to bag 3rd overall for the weekend and 2nd in the ProAm class. 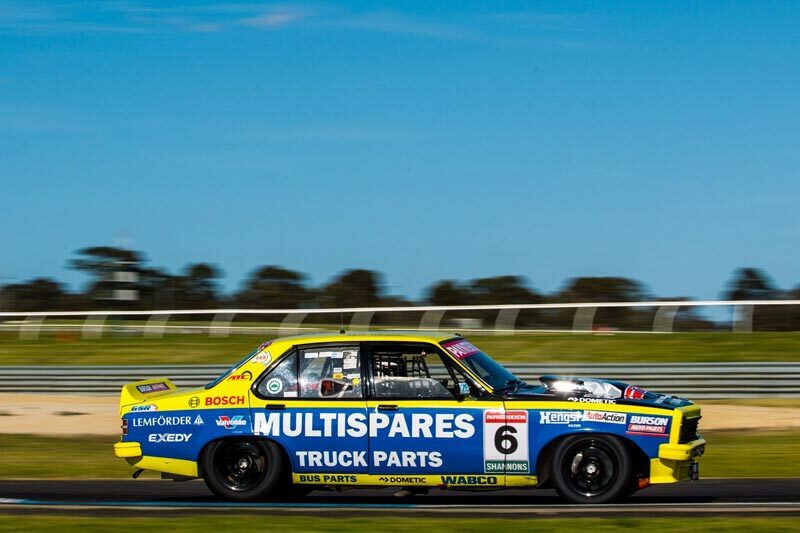 Next week the team head to Bathurst for the annual Supercheap Bathurst 1000 and with the new found speed in his Multispares Torana Ryan is expecting a much better performance than last year. “This year all the family are coming as there is special presentation in memory of Dad, so we are all pretty excited to find out what it is.” Ryan added. The TCM field will once again be huge and the crowd will see all the classics on track every day. Once again Foxtel 506 will telecast every session live, and at least one race will be shown on Free to air.